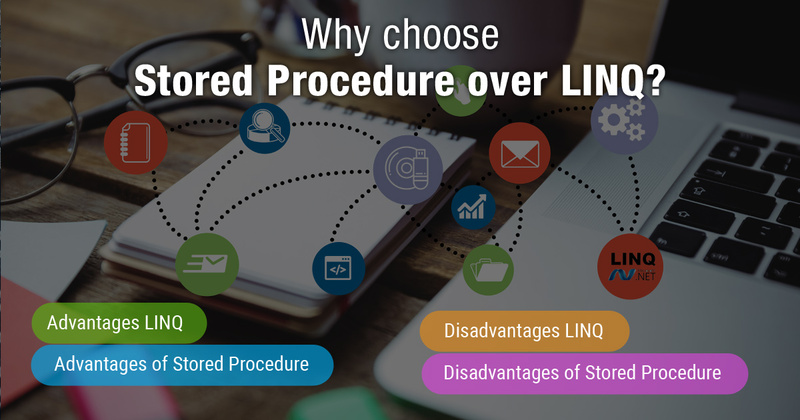 When it comes to software development, there is a divide between whether to employ stored procedure or LINQ. Each option has its merits, but some key points to consider in the decision-making process are the size and scope of your development project, the skills of your coders, and your hardware. LINQ stands for “Language-Integrated Query,” and is a set of features that extends powerful query capabilities to the language syntax of C# and Visual Basic. LINQ is best suited for minimally invasive projects as it compiles each time it executes, and offers a compact, expressive, and lucid syntax for manipulating data. Stored procedure is a set of “Structured Query Language” (SQL). SQL statements are given assigned names that are stored in the database in compiled form. Stored procedures are better suited for long-term projects, as they are written once, cached, used multiple times, and can be shared within more than one program. LINQ is sort of a universal query language; it can work with databases, XML files, JSON files, lists, arrays, dictionaries etc. Difficult to port to upgraded versions of the same database. 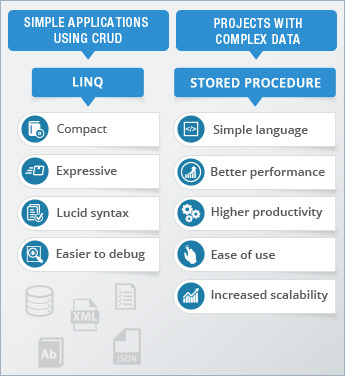 The resources and power of stored procedure are better suited for projects with complex data, while LINQ’s user-friendliness makes it more attractive for applications using CRUD. 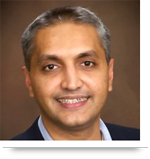 While LINQ can allow for rapid development and less maintenance, over time a project may outgrow LINQ’s limitations. Stored procedure allows for enhanced performance in handling complex projects, and while there are more roadblocks to maintenance and debugging, it is ultimately the more powerful option. Call us at 484-892-5713 or Contact Us today to learn more about software development and unleash your business’s potential with the use of technology. What is SASS and why you should choose SASS for designing UI? Learn more here. Why MVC for .NET Development ?